We are now finding out that the Nokia Lumia 920s that were given out at BUILD this year are unique in there own special way. With mixed components including a pentaband, from what the guys over at Wpcentral.com are told, this specific model will not be available again. 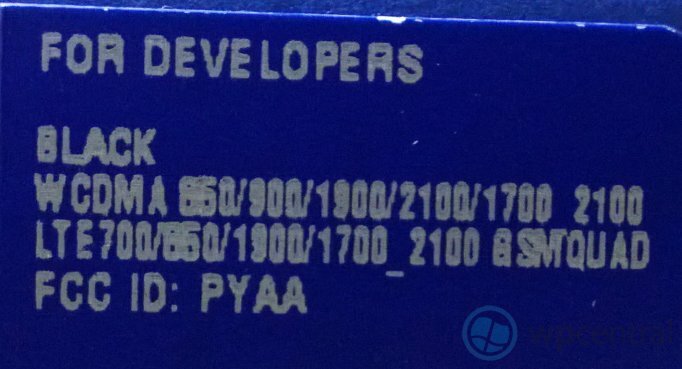 As photo evidenced, the photo below is from game developer Marios Karagiannis creator of the Monster Up games shows the broad supported bands of this Nokia device. It includes all WCDMA (850, 900, 1900, 2100, 1700_2100)and LTE (700, 850, 1900, 1700_1900) bands. Check the Photo bellows, supplied by WPCentral. Head over to learn more!